Join us in Singapore to Run in the Dark on the 15th November 2018 and support our ongoing research to find a cure for paralysis in our lifetime. 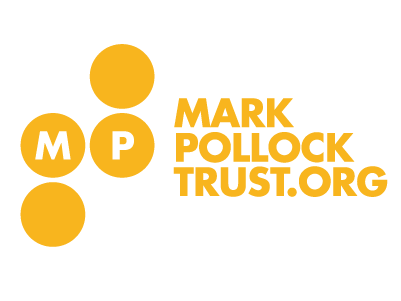 Your $40 donation will play a big part in helping the Mark Pollock Trust to reach its €500,000 fundraising aim. This year’s Singapore run will be championed by Cassandra Chiu. Registration will close at 6pm sharp on Wednesday 14th November 2018. For any queries relating to this event please feel free to contact Cassandra Chiu via email (cassandrachiu@hotmail.com). We would like to say a special thank you to our sponsors BHP and Parami Energy. Please note there are 5km and 10km route options. This year the run will start and finish at the lawn known as The Promontory @ Marina Bay, 11 Marina Blvd, Singapore, 018940 Singapore – facing the Marina Bay Sands hotel. From the start you will continue along the water’s edge turning left towards the Marina Bay Sands Mall, along the water’s edge then under the Helix bridge continuing past Gardens by the Bay to the Marina Barrage. Those running the 5km will turn back at the Marina Barrage and head back to the starting line to complete the 5km. The 10km runners will keep going along the Kallang Basin all the way to the ECP Bridge, runners will then turn back to the starting line to complete a full 10km.